Hiscox, the Bermuda headquartered international specialist insurance and reinsurance group, has launched what looks like its most direct venture in managing third-party reinsurance capital in recent years, with a recently registered Bermuda special purpose insurance vehicle, Kiskadee Re Ltd.
Kiskadee Re, likely named after the breed of bird which can be found in Bermuda, was registered with the Bermuda Monetary Authority on the 15th April. As an SPI it sits in the class of re/insurance vehicles which are commonly used for catastrophe bond issuance, as sidecars or as collateralized reinsurance entities. 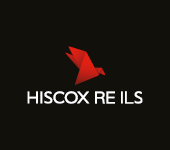 Hiscox has already been actively using Kiskadee Re, launching it at the recent mid-year reinsurance renewals. Hiscox has not been shy about letting the market know it has aspirations to utilise third-party capital in its underwriting and has always said it remained open to opportunities for managing third-party capital. Hiscox is also partnering on third-party capital ventures such as a catastrophe reinsurance investment fund that it partnered on with hedge fund backed Third Point Re. Kiskadee Re though appears to be much more about Hiscox taking on external capital, to manage and deploy within its reinsurance underwriting business, allowing it to benefit from fee income and perhaps a share of underwriting returns. As such Kiskadee Re is perhaps Hiscox’s most direct solo venture into the collateralized and capital markets backed reinsurance space, as a manager of others capital, in recent years. It had been involved in a number of sidecars with partners such as reinsurer PartnerRe and investors such as WL Ross a few years ago, as well as the Third Point Re cat fund partnership, but nothing of note that we have covered in recent times.